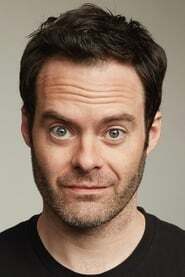 William "Bill" Hader (born June 7, 1978) is an American actor, comedian, producer and writer. He is best known for his work as a cast member on Saturday Night Live from 2005 to 2013 and for his supporting roles in comedy films such as Superbad, Hot Rod, Tropic Thunder and Adventureland. Description above from the Wikipedia article Bill Hader, licensed under CC-BY-SA, full list of contributors on Wikipedia.